My little lady is quite the party goer. If you ever need someone to be super excited about your birthday or your party (she loves cake) then she is the one to call. I think her excitement rubs off on me because lately I’ve been finding myself doing little things to make the gifts she takes with her a little extra special. She loves the details. (I’m pretty sure I have a future party planner on my hands here.) 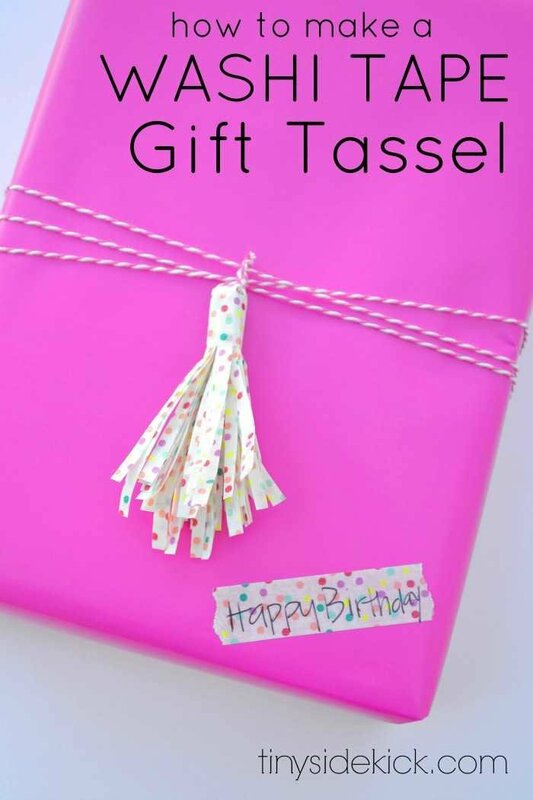 This little Washi Tape Gift Tassel was just what this solid pink wrapping paper needed to jazz it up. Isn’t it cute? 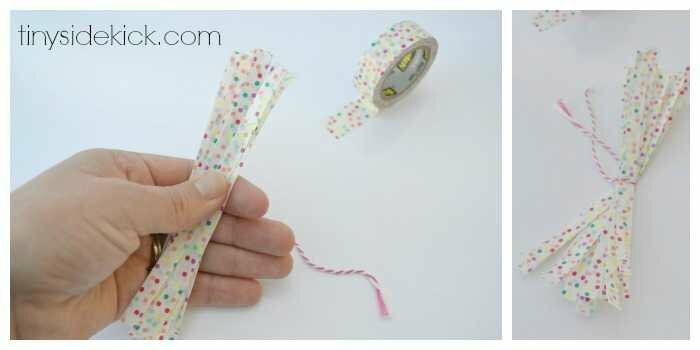 With all of the different patterns on washi tape, you are bound to find one that will compliment the wrapping paper you are using. I think details like this make wrapping presents so much fun. 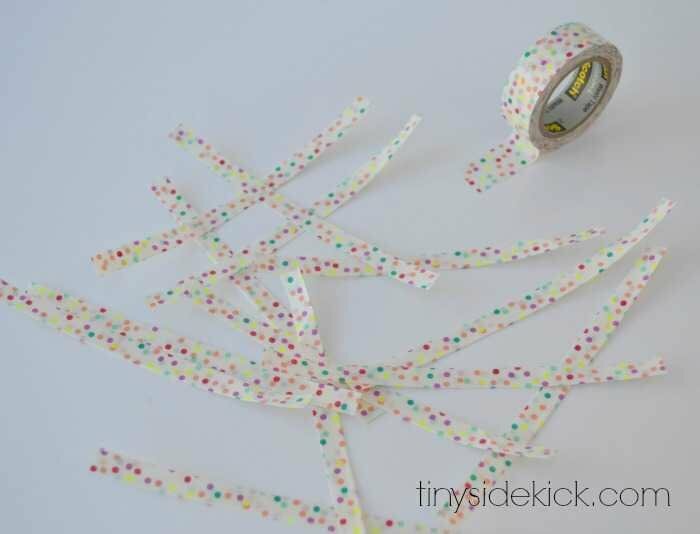 Step 1: Cut strips of washi tape. I cut mine about 4 inches long, but if you want your tassel to have longer fringe you will need longer strips. Step 3: Gather up your strips so they are all going the same direction and tie a small piece of string around the middle of the bundle. Step 4: Cut the end of each piece up to about 1/2 inch from your string on both ends. This will create 2 pieces of fringe for each strip. Step 5: Fold the bundle at the string and wrap one more small strip of washi tape around the top of the bundle to hold it in its folded position. Step 6: Use the excess string from when you tied the bundle to attach it to the string on your gift. And that is it! A perfect little gift topper for someone special! I like to use a matching strip of washi tape for the gift tag too to tie it all together! love it! 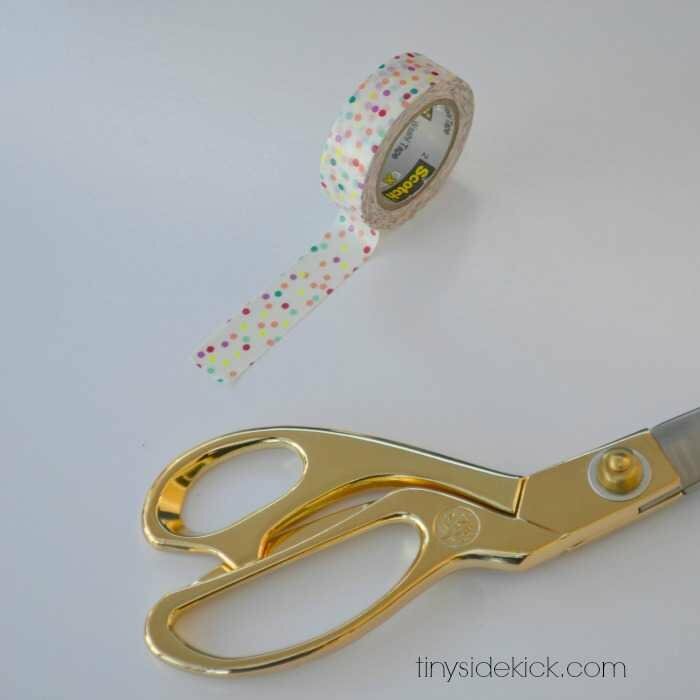 Very unique application of washi tape! These are super cute! They definitely sparked some inspiration. So fun! Thanks Michelle! I love washi tape the way I love fabric. All the colors and patterns are so addicting and fun! Thanks for stopping by. Hope you are having a great weekend! Love how creative and easy this is! 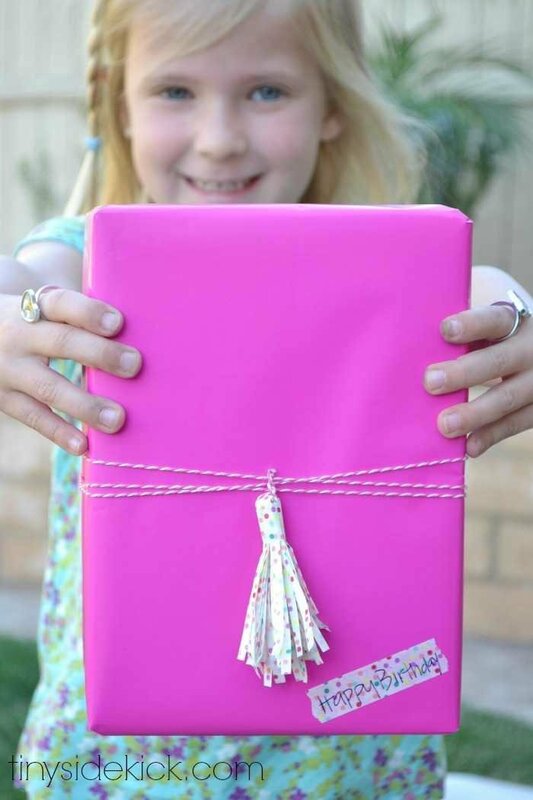 Your daughter looks so excited about her gift. Great job Mom! Stumbled and pinning! Aw! 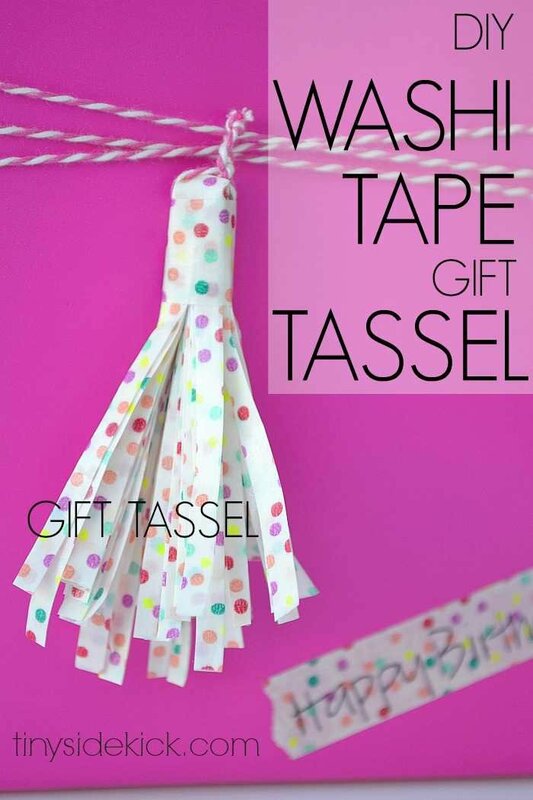 I love this little washi tape tassle!